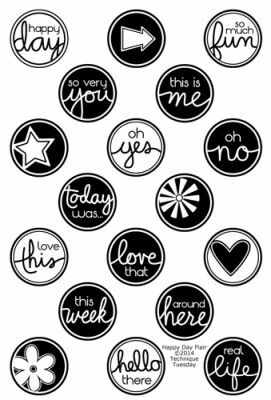 This Acrylic Stamp Set has all the right words to describe your Day & Life. You'll find eighteen (18) 1" round Stamps. Acrylic Stamp Block is NOT included. Stamp Set by Technique Tuesday.